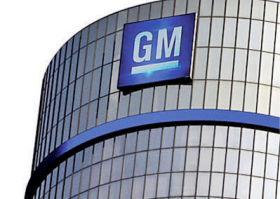 The Justice Department has determined that General Motors’ failure to recall millions of defective ignition switches for years involved criminal wrongdoing and could file criminal charges against some of the automaker’s former employees, The New York Times reported late Friday. The report said GM is expected to pay a record penalty -- exceeding the $1.2 billion that Toyota Motor Corp. paid last year for hiding unintended acceleration problems -- as part of a settlement that could be reached as soon as this summer. The newspaper cited people briefed on the inquiry who spoke on condition of anonymity because negotiations between GM and federal prosecutors are ongoing. The negotiations could still fall apart, the report said. The official death toll from the defect stands at 104 and is all but certain to rise further as a compensation fund established by GM reviews hundreds of outstanding claims. GM originally said it believed just 13 deaths were linked to the faulty ignition, which are so flimsy that a bumpy road or contact with the driver’s knee could cut off the engine and disable airbags, power steering and power brakes. The investigation appears to be progressing much faster than the Toyota inquiry, which concluded more than four years after Toyota began recalling vehicles in late 2009. The U.S. Attorney’s office in Manhattan, which led the Toyota investigation, also is handling the GM matter. GM began recalling 2.6 million Chevrolet Cobalts, Saturn Ions and other small cars with the bad switches in February 2014, more than a decade after some employees knew about the problem, documents show. For families who now know their loved ones’ deaths were connected to GM’s long-concealed defect, punishment for GM can’t come soon enough. “Honestly, I’m a little bit baffled that it took the Justice Department to figure out that what GM was doing, was criminally wrong,” Brennan Chansuthus, whose sister Hasaya was killed when her Cobalt crashed on a rain-slicked Tennessee highway in December 2009, told Automotive News in an email Friday. The Times said GM’s “eagerness to resolve the situation,” in contrast with Toyota’s refusal to admit mistakes, is expected to factor into the penalty amount. However, the GM penalty still is expected to be larger than Toyota’s, and prosecutors could force GM to plead guilty to one or more crimes, which Toyota did not do. Among the issues prosecutors have investigated, the Times said, are whether GM failed to comply with laws requiring timely disclosure of defects, misled regulators about the extent of the problem or committed fraud by not disclosing the defect during its 2009 bankruptcy.